My husband and I were married @ Magnolia Green Golf Club on Sunday, May 27, 2018. Casey was such a joy to work with (that woman deserves a raise)!!! Casey made sure that our day was everything we planned for and then some. I highly recommend this venue for any type of event. The staff was on time and attentive in every way. The food was great (guests raved about the lamb lollipops, shrimp entrees and thai turkey meatballs)! And the menu is very accommodating for us vegetarians and the carnivores. You won't go wrong with Casey and staff!! From the day we decided to have our reception here, to the day we said “I Do”, it was such a pleasure to work with Casey. She made the entire process so easy and all of the staff is amazing. The chef did such a wonderful job with the food, there was barely any left!! 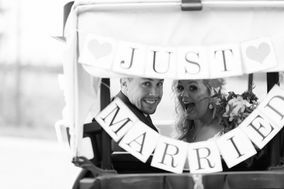 Thanks again for making our day so special, so many people have told me it was the best wedding they have been to! 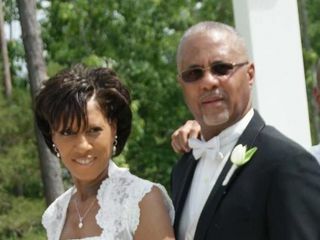 As the mother of the bride I can say that this was a amazing wedding, the venue and staff were wonderful . The builders, construction crew that worked around the clock to get this ready for our daughters wedding ,thank you . Casey, you were amazing ,Your prompt response to my "many" texts and emails.. New buildings can have bumps in the road but you always eased my mind ,thank you for that. You were always so very thoughtful and your attention to detail is impeccable ❤️. Bobby , you looked as relieved as we all were during the wedding, your concern to also make this an amazing day was deeply appreciated . Thank you to everyone involved for making this such a wonderful memory for The new Mr and Mrs pitzer and all of their families . To all the Magnolia Green Family, Thank you !!!! 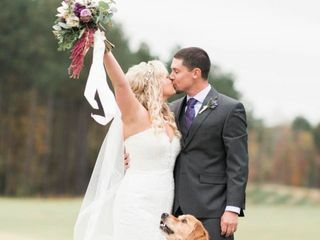 My husband and I got married at Magnolia Green in November of 2017. We held our rehearsal dinner and our wedding at the venue. Our wedding was only the second wedding to be hosted at this venue. Casey McNutt served as our point of contact. She was incredibly responsive and answered every single call, text, and e-mail in a timely manner. The chef was absolutely fantastic. I truly cannot say enough good things about him and his food. I have a rare allergy, and I had a couple of guests who are vegetarian/vegan. The chef went above and beyond to accommodate all of us. All of the food was fantastic. One of the most popular comments from guests was how absolutely delicious the food was. The staff, as a whole, was very flexible. Seeing as ours was the second wedding, every one had to be incredibly flexible with dates, timing, ideas, etc. The venue itself is beautiful, both indoors and outdoors. 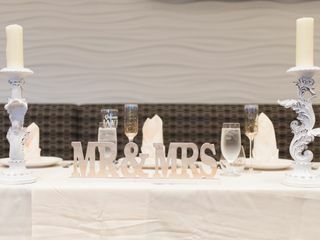 The venue is timeless and lends itself to all sorts of different wedding decor. The stairs serve as such a gorgeous backdrop for photos. The one thing I do think this venue needs is a wedding coordinator (not just an event coordinator), perhaps one who works hand in hand with Casey, included in its price. Additionally, a designated bridal suite to get ready in would be fantastic. Those two additions would be the cherry on top! I can honestly say that our wedding was one of our most favorite days together to date. We are so thankful that we were able to have it at Magnolia Green Golf Club. 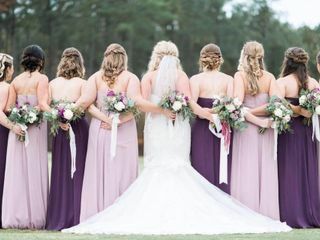 We watch our wedding video and wish that we could relive it over and over again! Magnolia Green is a beautiful venue with an incredible staff to match it. Our person of contact, Ms. Casey McNutt, did everything within her ability to make our day go as smoothly as possible, and it did! There was some miscommunication in the beginning of our working together, but Casey made every effort to make sure we were happy and that our guests enjoyed the evening! Not only is the venue beautiful and the space perfect for an elegantly comfortable reception, the food was GREAT. My aunt, a vegetarian of over 30 years, stated that the Portobello Mushroom entree she had was "quite simply the best I have ever had in my life". The chef made sure we were given a variety of options to choose from, and made sure we knew that he and his team were flexible to make any necessary changes, especially for our guests with allergies. 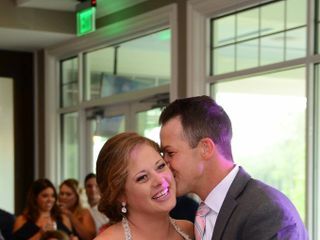 We were only their third wedding, but we're sure they'll have many more beautiful and fun events in the months to come. 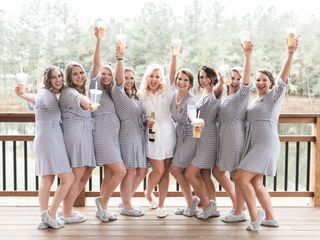 Each one of our guests had an absolutely spectacular time and are still raving about our wedding, more than a month and a half later! 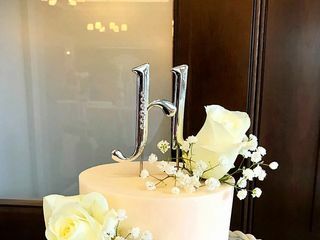 Our goal was for our guests to be a part of our special day and leave having spent a fun and memorable time with us, and Magnolia Green made sure to exceed that expectation of ours!